Slim Pasta Penne is a Low Calorie alternative to regular penne that helps you lose weight. Made from all natural ingredients the new Juroat® C Konjac recipe is unlike any other traditional konjac pasta penne. 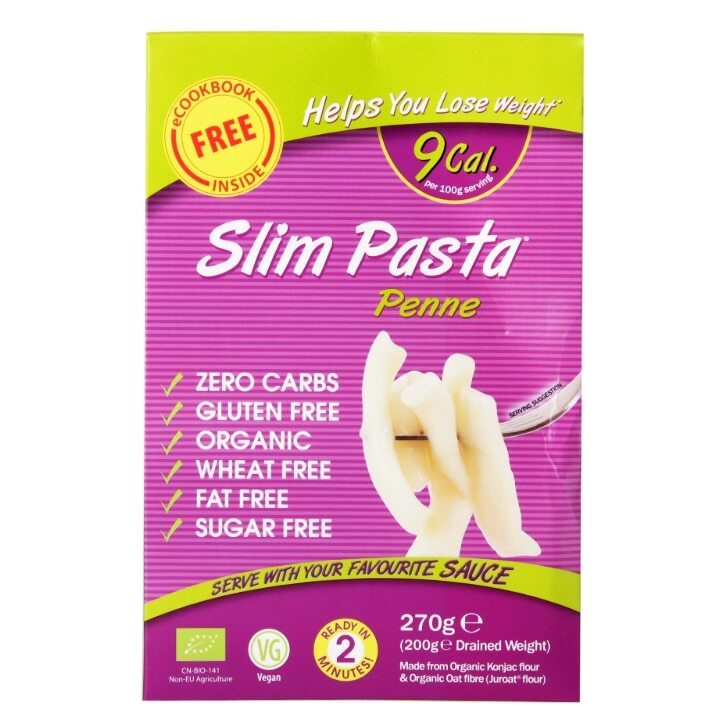 Slim Pasta contains no water, so there is no need to drain and the texture is a lot more al dente, giving Slim Pasta a far closer consistency to regular Italian style pasta than ever before. The weight loss secret is in the Konjac flour, which is rich in glucomannan. Glucomannan helps you lose weight by slowing digestion and prolonging the satisfying feeling of fullness. 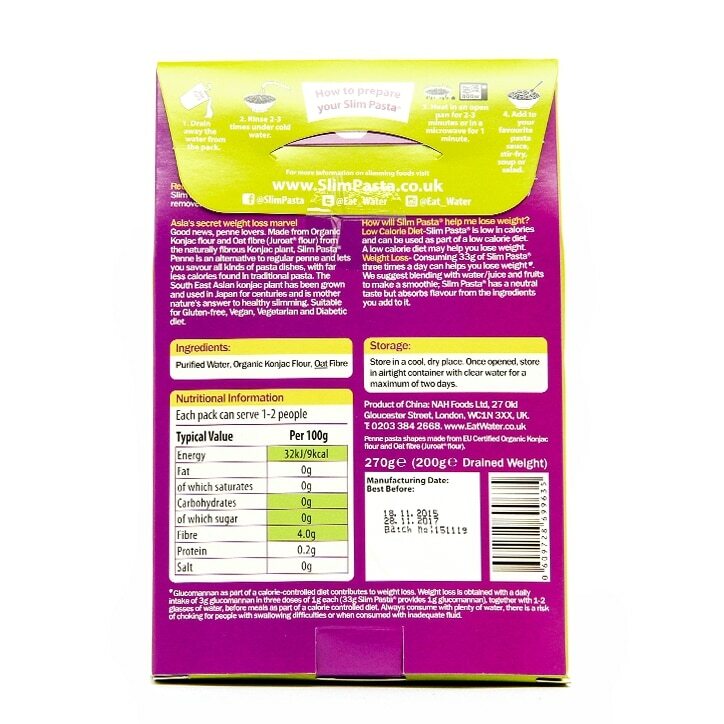 Eat Water Slim Pasta Penne is rated 3.0 out of 5 by 105. Rated 1 out of 5 by critters from If I could score it zero I would This pasta is absolutely vile. I tried it today as I had it recommended by my sister in law for my keto diet due to no carbs. The smell of fish is overwhelming and even after rinsing several times before cooking it still stunk when I tried to eat it. The texture is awful and is like tough Calamari.